Few countries such as long, rich and respected history like the Scotland. Add a healthy dose of national pride, and you get a country where people make the most out of their history, and not only by building museums and restoring historic buildings, but also by bringing history into the home. Staying at an old Scottish inn is like stepping back in history and imagining what the bright side of life used to be like centuries ago. Those who have a problem with the hygiene of the 19th century need not worry: modern amenities have long ago replaced slop pails and washbasins, and all that’s let for you to do is to enjoy the historic charms of these inns. Pertshire is one of the best tourist destinations in the Scottish countryside, not only because of the exceptional beauty of the landscape, but also thanks to the wide range of activities that visitors can try: fishing, nature walking, trekking, cycling and canoeing. 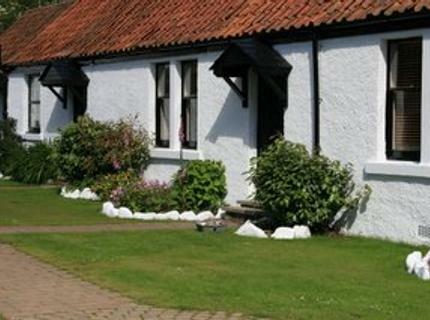 Alyth Hotel is a typical small-village inn, that is, simple, welcoming and cozy. The hotel building used to be the coaching inn of the village, where the main coffee-house (and meeting place) was located too. The coffee-house was turned into the James Sandy restaurant, a great place where you can eat some delicious, uncomplicated and hearty Scottish meals. 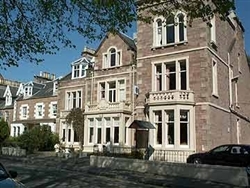 Perched on the banks of Ness River and a stone throw away from Inverness Castle, Glen Mhor Hotel is located in a very fortunate setting. The historic features of the building are nicely highlighted, and everything is comfortable and classy at the same time. The inn’s restaurant serves some of the best seafood dishes in the country, and the menu combines several traditional Scottish favorites, as well as some modern concoctions. The Inn at Inverbeg was first opened in 1814, and since then it has served as a watering hole and shelter for travelers who passed by the bonnie Loch Lomond. The inn was refurbished not long ago, and while the bedrooms themselves might not reflect much of the place’s history, they are immensely comfortable. The inn’s common room, however, takes you back in time, especially if you are relaxing in front of a roaring fire after a day of roaming the hills surrounding Lake Lomond. The inn’s pub, Mr. C’s Fish and Whisky Bar supposedly served the best fish and chips in the United Kingdom. 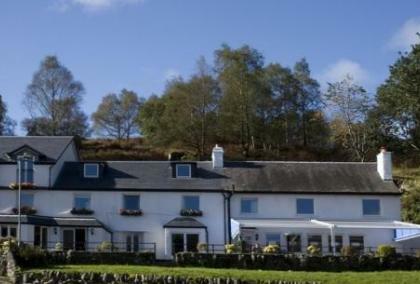 Dunalaistair in the southern Highlands is one of the most picturesque parts of Scotland, and it’s only natural that such an amazing place should have an equally amazing hotel. 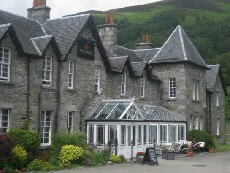 Dunalastair Hotel is most likely one of the best looking historic inns that you can find in Scotland. The rooms are a perfect combination of the modern and classical (yes, it’s possible), trying to carefully mimic he fabrics and shapes of the past. The inn offers a very interesting dining experience, inspired by the traditional larders of Scotland, without any ‘twists’ that can distract your palate from the original taste of the dishes. 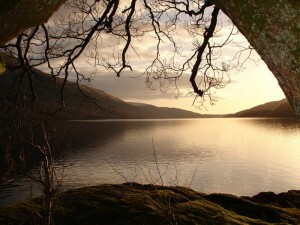 The scenic area around the inns, with its hamlets, villages, castles and landscapes will keep you occupied for a long time. 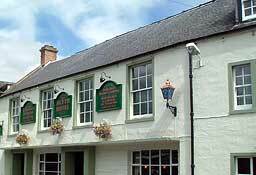 Located just above the town of St. Andrews, the Inn at Lathones is the oldest coaching inn in the area. The bedrooms were recently refurbished, and they might seem a tad too comfortable for the overall historic feel of the place, but even the history snobs will be silenced once they sink into the cozy warmth of a four-poster bed. The food at the inn is delicious and has earned a couple of awards too.